This helpful table, provide by the White House Council of Economic Advisers (CEA) today, has convinced me finally that socialism would be a terrible idea. 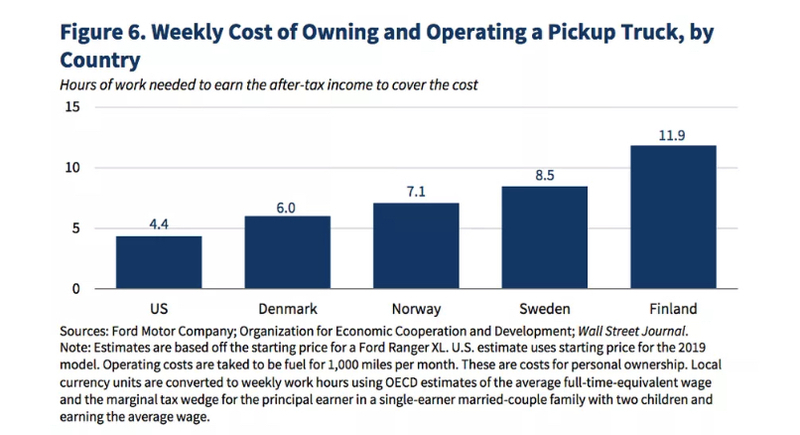 We might get health care, education, and public transport, but look how much more we will pay for owning a Ford pickup truck. It’s a slam du(mb)k argument.